Now that we are into 2019, it gives me the pleasure of looking back on makeup items that I consider favorites of the last year. Disregarding my huge pimple, who I’ve named Priscilla the Pimple, I am wearing many of the products I’m writing about in this post! I let go of the phrase “best of” simply because I don’t know if these products truly are the best. But I do know that I used them a lot—enough to put them into my “favorites” category. Some were carryovers from last year and some more recent purchases. Either way, there’s a reason that I added them. Let’s take a look—shall we? Primer: Hard Candy’s primer has been my most-used of 2018 coming in at around $8.00 this is a great primer. A tiny bit goes a long way and it is very mature-skin friendly. I’m also fond of Etude House Face Blur which I purchased on Amazon. I took a chance with this Korean brand and love it. Oops! Looks like I need to buy more of the Hard Candy!!!! Both these primers are very mature-skin friendly! Coming in third—Embryolisse cream. I’ve only been using this since November and honestly was on the fence in adding this as a favorite of 2018. But I’ve been using it on a constant basis and although it retails for around $25 here in the States, I picked it up at CityPharma in Paris for less than half price. It’s a cream that hydrates while doubling as a primer. What more could you ask for? This is a multi-purpose dream cream! Takes makeup off, acts as a moisturizer. I purchased two tubes at CityPharma in Paris. I should have bought four of them! Why do I like a primer? Well, at our age, a primer is like a “glue” that holds the foundation to the skin and acts like an agent to smooth things out. It’s important. Maybe we didn’t need a primer when we were younger but, in all honesty, as we pro-age, a primer is a good thing. Corrector: Laudy Miss Claudy. I’m not big on correctors because with the proper application of concealer and foundation, ya really don’t need a corrector. But…. there’s something to be said about that “blue” area that exists right off your nose into your eye by the tear duct. This, the ever-wonderful Well-Rested concealer powder by bareMinerals is my Holy Grail. In fact, I don’t even consider it a concealer per se. I consider it a corrector extraordinaire! I’ve been using this for over ten years and there’s no stopping me. Applied over the eyelid and under the browbone over to that weird blue area, it covers everything and gives a great base for applying eyeshadow. How do I love this? Enough that I’m on auto-delivery every three months from bareMinerals. Well-Rested. My Holy Grail and I’ve been using this for over ten years. I’m now on auto-delivery from bareMinerals and am so happy that I am!!! Foundation: This was a tough category to narrow down to favorites. I’ve got a rather decent collection of foundations running the gamut of pricey to not-so-pricey and the surprise is that the less-pricey foundations were the ones that made the “favorites” cut! The Ordinary Serum Foundation and the Ordinary Coverage Foundation. Both of these foundations are excellent. Under seven dollars each, they have been serving me well since 2016! I have unopened backups at the ready. And have written about them in past posts. These foundations will not stop being a favorite. The price is lower than most drug store brands and the quality is better than luxury brands. I see that I’m running low–no worries because I have backups in my stash! Both blend into the skin with no tell-tale cakiness and the funny thing is that the Serum Foundation is actually better at coverage than the Coverage Foundation. Both can be built for additional coverage and give a smooth finish. LA Girl Liquid Foundation—I found out about this Ten-dollar gem through Tati Westbrook on her YouTube channel. She was raving about how great it is and now, months later, this has become one of my faves. In fact, I purchased a second one last week because I’m reaching the bottom of the bottle. I recently purchased a second bottle of this because I’m running low–thank you Tati! The finish is a bit thicker than The Ordinary Foundations but the coverage is spot on. Blends well and stays put all day. Doesn’t dry out the mature skin either! Last of the liquids—Wet n Wild Photo focus foundation. I pay $5.90 a bottle for this foundation and have it in four different shades for various reasons. One being that I couldn’t find an exact match so I mix two shades. The other reason is that I need a darker foundation when I film my YouTube videos. Due to the nature of lack of shade choices, I need to blend two shades when I use this but it doesn’t even matter. The finish is matte without looking dry and it blends like a second skin! This foundation blends like a second skin. I swear, when I blend the two shades then apply to my face, there are times when I can’t even tell where I applied. This foundation is an incredible value and a stellar foundation. TIP: I always use a drop of oil to my liquid foundation to make it glide on just a bit smoother and add a bit of hydration. $6.80 on Deciem’s site. I ordered another one because I’m running low. I. USE.THIS.EVERY. DAY!!!! Stick Foundation: 2018 will be known as the year that I re-discovered stick foundation. Many decades ago I used Max Factor Pan Stick—mostly to cover teen angst acne. But as I aged the stick was dry and looked awful. The new stick-foundations are not as dry and they are creamier. The two stick foundations that I use and love are Makeup Revolution’s Fast Base Stick Foundation. At $9.00 the stick, this is a fantastic value. The foundation glides on nicely and blends very well with the use of the proper brush (I’ll get to that) and blending sponge. For an affordable-priced foundation, this is a winner. The second stick foundation is one I’ve purchased a few months ago and I love it so much that I bought a backup (the set was purchased on QVC and was worth it because of the foundation). Kristofer Buckle Triplicity Foundation Stick. This is unlike any stick foundation ever. It is so incredibly creamy and there is a built-in primer in the middle of the stick. It is smooth as buttah and is so easy to work with. It gives your skin a beautiful finish. I’m hoping Kristofer Buckle never discontinues this! Two excellent stick foundations. The one I prefer is the Kristofer Buckle because it is creamer and you get more product. The Makeup Revolution is also excellent but for the $9.00 you don’t get a ton of product but this is full-coverage and blends wonderfully! *You may notice that I didn’t add any cushion foundations to my favorites. There’s a reason for this. Although I do like cushion foundations, there is not enough product to warrant being a favorite. The finish is a dewy one, which I like but I’ll tell you, none of my cushion foundations have lasted more than three or four weeks. It isn’t worth it. Just my opinion. Although I did rave about this cushion foundation in a past post, it didn’t make the cut. I’m sorry-not-sorry but the tiny amount of product for the price is ridiculous–and I find this to be an issue with all the cushion foundations I’ve used. This gives a dewy finish but at the end of the day, I want my money’s worth! Brushes: I figure this would be a good time to discuss brushes. It’s difficult to pinpoint absolute favorites for this category because many brushes are excellent. But…I have a few that I use in constant rotation. Eco Tools 360 Blending Brushes are the best for blending in stick foundations, cream contours and cream blushes. They are so dense and slightly beveled at the rim, making the brushes perfect for blending near the eyes, mouth and nose. A set of three costs $16.99. You get a foundation brush, blush brush and concealer brush but the one I use every day is the foundation brush. Top Left–The ECO Tools 360 Foundation Brush. Top Right–iT cosmetics Foundation Brush (yeah–it’s dirty because I am behind on washing my brushes!) Bottom Left: Tarte Brush that I use as a buffer after my foundation is applied. Bottom Right. iT cosmetics brow brush and iT cosmetics Powder brush! All are excellent! iT Cosmetics Brushes are a brand that I have many of and if I posted a pic of all my iT brushes I would be here till midnight. But–I have a ton of brushes and inexpensive brushes work just as well if you can find a good value! Eyeshadow Palettes: This was a tough call only because I have so many of ‘em! I did manage to narrow them down. The palettes that I chose as my favorites are mostly neutrals with a couple having more options. Shade and Light by Kat Von D. This is pretty-much every woman’s neutral palette. The shadows are grouped into cool, neutral and warm neutral shades and personally, you can mix and match with ease. She basically has a contour palette for eyes—which is basically what neutral do—they contour the eyes. This is currently on sale at TJ Maxx for $20 compared to the original price of $48. Kat Von D Shade and Light palette. I also have this in the glimmer palette. The neutrals in this are excellent and it’s a great every-day shadow collection. They are mattes without being chalky or ashy! My MAC quad palette that I made myself. Quarry, Gesso, and the other two. I love this bespoke palette and I’ve hit pan on my two faves already. What I love about this one is that the shadows all work so well with each other. It’s a no-brainer if I just want an easy eye shadow application. I think I paid about $22 for the entire thing. I hit pan on this big time! And the little quad palette is a mess–but that means you can see that I use this all the time!! The Emily Edit—The Wants. This palette. I’ve used this so much and have gotten quite a few different looks with it but for the most part, I stick to the more neutral colors in this huge palette. It retails for $20 and is well-worth the price. The berry shades and green shades came in handy over the holidays! And I’ve hit pan on the “cream” shadow. I’m a huge follower of EmilyNoel83 and when I found out she collabed with Makeup Revolution, I did the happy dance. I LOVE the shades in this palette. Already hit pan on Cream! For the money, at $20, this palette cannot be beat! The Emily Edit—The Needs. Best $15 I’ve ever spent on a palette—or rather, $30 because I bought two! One in my every-day collection and one in my travel bag. Honestly, this palette is the perfect travel palette because you can use the cheek color on your eyes too. Take a good look at this palette and place it in your memory bank. You NEED this for travel and your upcoming summer vacay. You won’t need anything else. It’s all covered as far as eyes, cheeks and highlighting goes! Tarte Tartelette in Bloom. Back in the Spring I returned a Tarte eyeshadow palette because it was awful. However, this palette is definitely a favorite because of the varied choices of neutrals. The shadows aren’t chalky either. They are well-pigmented, apply nicely and last. If you are looking for a purely neutral palette, this is for you! Another palette that I use a lot! I’m a neutral girl and I love the mix of mattes and shimmers. This is an excellent palette–Tarte did good with this one! I am the last person on earth who I figured would ever buy this palette but when I saw it IRL at TJ Maxx and on deep discount I made the purchase and am so happy that I did. I love this so much and a touch is all you need–this is one super-pigmented palette! Brow Product: It’s my Holy Grail. I’ve tried others and keep coming back to…..Anastasia Beverly Hills DipBrow. This gel product is, hands down, the best. My first jar lasted for almost four years. I’m on my second and I apply with a thin brush from iT cosmetics. It stays put. And—doesn’t oxidize. And—ABH created a dark enough color that is truly dark. Some of us love dark eyebrows! At $18, this is practically a steal because it lasts so darn long! This tiny jar of brow gel goes a long, long, long way! Best brow stuff I’ve ever used! Concealer: This is a thing that I’ve started using only within the last couple of years. Wearing eyeglasses causes shadows and I read that concealer under the eyes brightens the area. I also like to add concealer to my nose simply as an extra to guard against the redness that sometimes comes. While I don’t like a too-thick concealer one of these is very thick but needs to be applied in a very tiny amount. And I mean tiny. Mac Pro Longwear Concealer: This is a big favorite for me. Again, a tiny amount is more than sufficient but the skin tone that I have blends in so nicely and gives a great finish. I also like the fact the concealer comes in a glass pump bottle. For some reason, glass seems more sterile to me. Tarte Shape tape: I’ve read many pro and con reviews for this. The cons coming from the mature demographic. Applied sparingly, this is a fantastic concealer. It does the job. Blends well. Doesn’t cake up! Works for me! Maybelline Age Rewind Concealer: Maybelline cosmetics do not fare well with me. I’m not a fan of their foundations nor am I a fan of their eyeshadows or mascaras. But this concealer (I pay $7 and change at Walmart) is fantastic! I’m on my third one! More liquidy than other concealers and a lighter weight, it still manages to cover in the most hydrating way! Blends beautifully—and that sponge applicator tip makes it even better to blend! My “Big Three” Left to right–Shape Tape, Pro Longwear Concealer and Age Rewind. All are different yet all work remarkably well! BTW, I use this iT concealer brush to apply and blend. It works wonders! Contour/Bronzer: I almost went with the contour/bronzer but truth be told, I really don’t have a favorite “Bronzer”. During the summer months, I get color from the sun and from fake tanning, eliminating the need for bronzer but when I do use it, I go for the cheap stuff. So, I’ll stick with the contour for now. Benefit Cosmetics Hoola: Some may argue but for my cool skin-tone, this stuff works. And let me tell you, I purchased a mini for $16 which I still feel was pricey for a mini but…. only a small amount is needed to contour the face and I use a Sephora brush that I had hanging around to apply simply because the brush fits perfectly into the small Hoola box of powder! This Hoola bronzer/contour works very well and I’ve been using it constantly..
See that second brush from the left? I apply the Hoola with it! On the far left is a Morphe blending brush that I swear by. It is the greatest brush for blending shadow and to the right of the contour brush is a cheap brush from e.l.f. that I use for applying shadow to the crease! Charlotte Tilbury Ibiza Beach Stick: I’ve had this creamy stick for over a year and it’s still going strong. I like a cream contour –and this glides on so incredibly smoothly! Blends well and always looks natural. Fenty Beauty MatchStix in Amber: This stick contour is absolutely amazing. For cool-toned women, this is a godsend. The shade is a very cool taupe, almost grey but gives the perfect shadow and contour to the face. It isn’t as “creamy” as the Tilbury Beach Stick but with the right applicator works just fine. And—it lasts forever! On the left, Ibiza Beach Stick from Charlotte Tilbury and on the right Amber Match Stix from Fenty Beauty. Both were not cheap but I’ve had them for over a year! I especially like the Ibiza in the summer months! Blush: 2018 was the year I went back to using powder blush! I have to say; my favorite of 2018 is the Laura Geller Baked Blush in the shade Cherry Truffle. 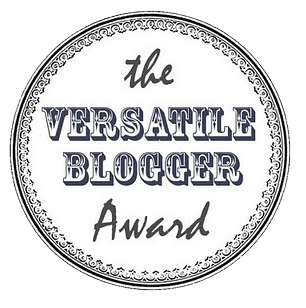 AND—one of the blog’s best friends, Sandy Salin sent this to me because it didn’t work for her! Well, it worked for me and I use it just about every day! In the container the color comes off as a dark, rose but boy, it blends in so well with my cool coloring. I shall be ever-thankful to Sandy because I plan on ordering this when I start running low! Laura Geller Baked Blush in Cherry Truffle. This is a beautiful blush. I feel bad that it didn’t work for our friend Sandy. But it works for me! Thank you Sandy!!!!!! Stila Convertible Color in Sweet Pea: Don’t get me started on Stila—one of my favorite eyeshadow palettes and they discontinued it. Sweet Pea was/is my favorite cream blush and you can see from the photo just how favorite it is! The only availability left is eBay and I refuse to buy from there—too many fakes. And I’m not buying a used product! So, in 2019 my search for the perfect cream blush will commence! The pink color of this is perfect! It isn’t too bright—isn’t too dull, never looks clownish, blends in well and why the hell it was discontinued is beyond me! I can’t even with Stila anymore! This is so pitiful! There’s hardly anything left of this blush and I’ll use it till there’s nothing. I apply with the Eco Tools 360 blush brush! I will never forgive Stila for discontinuing this one! 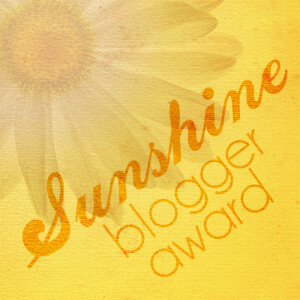 Highlighter: This is an odd category because I do use highlighter but I can’t really say that any one is my favorite. They all seem to do a decent job. But—if I have to pick favorites, I’ll go with NYX Bright Idea Illuminating Stick in Lavender Lust. It’s inexpensive—I think I paid maybe between 6 and 7 bucks. 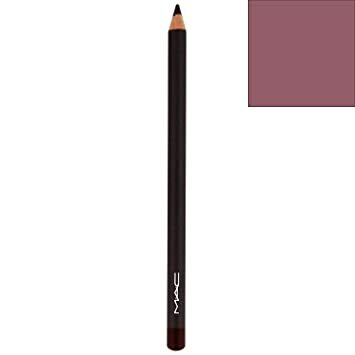 It is a creamy stick and does the job—a nice subtle highlight. This gives a beautiful finish and glides on smoothly. At a drug store price–it is excellent quality and a great value! In the pricier and powder highlighter area is Jeffree Star Sarcophagus Skin Frost. This powder is soft as buttah! Applied lightly it gives a beautiful glow and yes it looks great on mature skin. At $29 it may seem pricey but the amount you get is huge and since you barely need any—it’s a great buy. This photo was taken when my Skin Frost was new. It doesn’t look like that anymore but I LOVE the glow that this gives off!! Lip Color: I can’t even go into favorites with this one. I wear a cocktail of shades practically every day and nothing (except Cover Girl Outlast) stays on more than a couple of hours—and that’s a stretch. I’m just gonna focus on ones I wear more than others. MAC Lip Pencil in Half-Red. I use it all the time as a base of sorts. The color is flattering for all skin tones. Allow me to say that this is the most universally flattering lip lining pencil. I love this so much! Essence Cosmetics Shine, Shine, Shine Clear Gloss Since I’m of the shiny, big lips school, this is, hands down, the shiniest gloss ever. It’s $3.99 at Ulta and when I went last week to stock up (I have two), they were sold out. I was angry. Very angry. You will not do better than this! Although it has taken on a pink hue, it is due to my applying this over colored lip products and now it’s a clear pink! NYX Butter Gloss in Merengue. Simply put—best pink gloss ever. I’m waiting for NYX to discontinue this because that’s the story of my life in makeup! I’m waiting………because NYX will pull a fast one and discontinue Merengue. I better start hoarding! Setting Powder: Thanks to my Kristofer Buckle Vanity Set, 2018 was the year I started using powder to set my makeup. Actually, I use it to set my concealer and then spread the excess over my face. This powder is so finely-milled that it is not going to look caked up on mature skin and surprisingly it gives a beautiful finish and keeps the makeup set all day!! Not only do I have a second backup–but I ordered a third. At just under $25, this is a steal!!! The foundation stick alone is more expensive. Head to QVC. Right now. Order this kit. Kristofer Buckle has top-quality products and he’s Mariah Carey’s personal makeup artist!! As you can see, this powder is getting a ton of love from me. I sifted some product out so you could get a better look! Mascara: I’m currently into and very into the L’Oréal Voluminous Mascara Base and the Mascara. I’ve been using both regularly since the summer and I like the way it makes the lashes look. Thicker. I’m also sweet on the Kristofer Buckle mascara. Gives a nice separation of lashes while appearing thick but not too thick. Let’s also say that 2018 was the year I found out about Kristofer Buckle cosmetics! I’m stanning him! For bottom lashes, I use every single travel-sized and sample mascara I have. The tiny applicator works wonders on bottom lashes. A travel-sized Lights, Camera, Lashes mascara–works so well on bottom lashes! Eyeliner: 2018 was a game-changer for me with eyeliner. No longer do I apply liner on my lids. It was closing my eyes and making them look smaller. I’m using gel pencils to tightline under my lashes and the two pencils that are fantastic are Mally Evercolor Gel Waterproof liner and bareMinerals Lasting Line. Both pencils product stays on all day! I never have to reapply! Game-changer! These gel liners are crazy-great. The gel stays put and the pencils are thin making it perfect for tightlining! Of Note: I don’t use a setting spray. Instead I have spray waters that I use and they do the same job for a lot less. The spray on the left–I paid 2 euros for at CityPharma and it smells delightful. I’m a fan of the Mario Badescu sprays too and both work fine as setting sprays! I’ve created an idea list for you from my Amazon Page: IDEA LIST-Makeup favorites from 2018. It’s for reference in case you go shopping but take a good look because the Amazon prices run the gamut of overpriced to the point you can get some of these products for a better price on Amazon. Who knew–right? Just as an aside. THIS is the look Chippy gave me earlier when I went over to MY loveseat to take a break. It is now HIS loveseat. Guess who rules the roost? That’s right. It is no longer my and Bonaparte’s home. It is Chippy’s! Items that I left off—well, it doesn’t mean I don’t like them. But these items came into my most-used and what I found to be most pragmatic choices. We all have favorites but I tend to think of the products above as very mature-skin friendly. Don’t be afraid. Add your favorites of 2018 to the list in the comments! This entry was posted in Makeup favorites of 2018, Uncategorized and tagged Favorite makeup 2018, makeup, Makeup for Mature Women. Bookmark the permalink. Thanks for all your hard work in developing a nice list of products. Very helpful. Love your articles, I want to go to Paris. I feel through you I have been there. Really enjoyed this read on your make-up staples. I love Estee Lauder make-up and every other year my husband treats me to my favourite perfume ‘Azuree’ and the blockbuster gift set (due Xmas 2019). Oh, I’m so happy you’re enjoying the blush. I love that you have an Amazon page. So easy to find the things you recommend. I also love when you post these favorites. So fun to see what you approve of. Happy New Year! HEY> I COULD NOT GET THE LINK TO WORK!!! Is Frugal Fashion Shopper the name of your YouTube channel? It’s refreshing having someone of experience & wisdom sharing makeup resources 🤗. Like you, I’m “cool as a cucumber” with a “bone china” finish, TeeHee. Thanks for sharing your 2018 Favs!